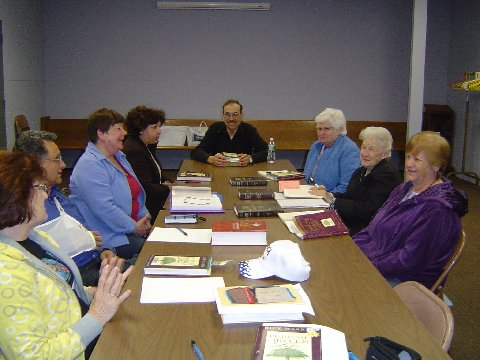 The purpose of our Adult Christian Education program is to provide the members of our congregation with a variety of Christian education opportunities that will enhance their understanding of the Christian faith and enable them to reach out to others as they seek to serve God and to influence the world for good. Our Sunday morning adult education group meets in the "Yellow" room every Sunday morning from 9:30-10:20 am to study the BIBLE, and other Christian related material that will enhance our understanding of the Christian life and equip us to relate to others and the needs of the wider world. Our Wednesday evening bible study meets in the Susanna Wesley Room and is open to anyone who is interested in learning more about the bible. The participants are encouraged to read the BIBLE for themselves, in order to wrestle with their personal understandings and to bring their quetions to the group for further exploration and personal application. We welcome anyone to attend these groups as often as they can. If you would like more information about any of these study groups, contact Reverend Jones.